‘Kegenix’ is a dietary supplement which provides your body with the necessary burst of exogenous ketones to make you bear the burden of a strict keto diet! Not only exogenous ketones, it comes loaded with necessary minerals, and essential amino acids. This makes it a kind of unique and fortified supplement. 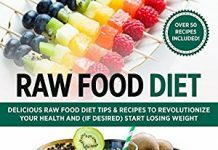 It has been developed to help you stick to the ketogenic diet or if you’re a work out enthusiast and sustain on a low carb diet it may be helpful too. 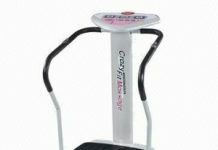 Even though it claims to provide added benefits like memory enhancement, promises longevity along with weight loss, it has not been able to win the appreciation of many! 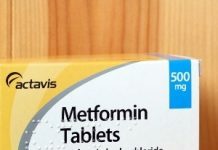 There are mixed reviews about the product, with most consumers complaining about its unbearable taste and high price.The product contains ample amount of calories also.You may find a better product in the market which would be your long term and trustworthy companion while following the keto diet. Kegenix is a dietary supplement that is intended for use as part of a ketogenic program. The supplement was developed by a University of South Florida physician named Dr. Dominic D’Agostino as a means to help users achieve ketosis at a much faster rate as compared to traditional dieting. Ketosis is an advanced metabolic state because burning fat offers the body 225% more energy than carbohydrates. Not to mention energy from fat is “cleaner” than energy from carbohydrates. 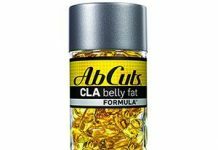 So, this supplement helps to ease your journey into ketosis and turn you into a fat burning machine without turning your routine life upside down. It minimises all the nasty feelings and controls cravings too. It is good appetite suppressor but has still more to offer. This health drink supplement doesn’t just promise to help you lose weight, but it also claims to improve key areas of your health ranging from anti-aging to memory enhancing benefits. Most supplements rely on BHB (Beta Hydroxy Butyric acid) as the source of their exogenous ketone bodies since it functions like a ketone and can be readily converted into energy. Lets see how this product claims to deliver such a lot! 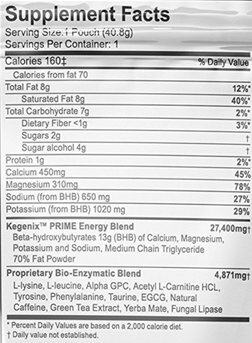 Kegenix Prime Energy blend is packed with BHB (beta-hydroxybutyrates) of calcium, magnesium, potassium and sodium. It also has medium chain triglyceride fat powder. On the other hand, the Bio-Enzymatic Blend is packed with amino acids L-Lysine, L-Leucine, L-Carnitine and Tyrosine, phenylalanine, taurine, EGCG, caffeine, green tea, yerba mate and fugal lipase. What does each of the ingredient help in? L-lysine. 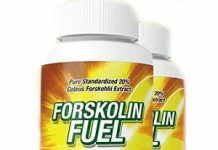 Speeds up the burning of fat by conversion into L-Carnitine. L-isoleucine. Aids in hemoglobin formation. Also, regulates blood sugar levels and increases energy. A deeper look into the ingredients reveals that ‘Kegenix’ contains, carbohydrates and the TOTAL amount of CALORIES are immense, for a dietary supplement, that is specifically designed for weight loss! It promises to put you into ketosis within an hour! Summing up all the benefits that it claims to provide, we can say that it not only aids in weight loss, but helps in enhancing mental sharpness, and is used as a pre workout supplement for heavy exercises. Science bears testimony to all these facts. Kegenix comes in three flavors: Orange Blast, Fruit Medley, and Wild Berry. Kegenix prime is also a new version produced by the same company. Unfortunately, none of these have been found to be palatable such that they could be ingested with ease. 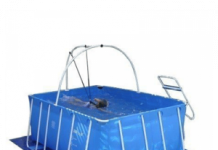 The products are ensured with a refund policy, that guarantees a return within 14 days. Let us explore the flip side too! With every, keto supplement, is a fear of side effects. Besides all the claims that any product makes, there is reluctance to buy it, stemming from uneasiness and sick feelings that people report when taking such supplements and complying by a low carb diet! It is thus important to know what this one brings along. Many customer reviews reflect that people have not been able to handle the additional feelings that come along with consuming the drink. More than benefits this one brings along, side effects like dizziness, elevated pulse rate and jittery feelings have made customers sway away from buying it again. 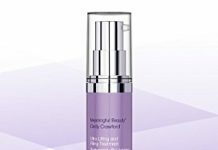 We conclude that this product does contain trustworthy and beneficial ingredients for weight loss and more. An additional presence of amino acids makes this supplement a good option. But the product is expensive and has been found to have unbearable taste such that people have not been able to reap its benefits. Editor’s Note: Why we recommend ‘Perfect Keto’ over Kegenix? ‘Perfect Keto’ is also a ketone supplement which comes packed with ketone salts and additional minerals, to provide you a fortified supplement that helps you cope energy rundown, cravings and other symptoms that come uninvited with strict low carb dieting! Isn’t that what every exogenous ketone supplement promises? If you’re not able to differentiate, we will help you to see marked differences in this and other products that are there in the market. Moreover we will also find out that if the product is true to its claims? Why do you need Perfect Keto supplement at all? It lends a helping hand to ease your journey into nutritional ketosis! It is a collection of dietary supplements developed by Dr. Anthony Gustin to enhance the effectiveness of a ketogenic approach. Sustaining oneself on a low carb diet is not easy. You have to handle a plenty of side effects like headaches, muscular cramps, lethargy, excessive thirst, discomfort in abdomen and more. It is a known fact that dieting isn’t easy, and the most dedicated of devotees fail to reach their goals or fall out after sustaining on the programme for long. When you adapt your body with utmost dedication to survive on a very few carbs, it becomes adapted to metabolize fat. Perfect Keto claims to support the transition to a fat-burning state and help keep your electrolytes balanced once you’re there. Not only this, the supplement can also be used as a pre work out drink, to enhance mental focus and to help you cope and get back into ketosis if you’ve had a high carb meal! While all ‘keto supplements’ in the market claim to deliver almost the same results ‘Perfect Keto’ is one which is high on efficiency! They particularly specify the blend of ingredients that they have used and provide detailed and concrete information about what you will ingest with each serving. high-quality beta-hydroxybutyrate (BHB) salts are used in Perfect Keto. Each serving comes with 11.3 grams of high-quality BHB. Other ingredients: Magnesium, Potassium, Calcium, Cocoa, Stevia leaf, Vitamin C, and added flavour. Unlike ‘Kegenix’ ‘Perfect Keto’ contains ZERO CARBS and the least possible calories . It contains the least amount of calories among the league of supplements that it is competing with. Only 15 calories per serving which is a good sign for an apt supplement for weight loss. While Kegenix delivers into your system a massive amount of 160 calories per serving. Another important aspect that is crucial and cannot be overlooked is the TASTE that this supplement brings along. Users have reported it to be very Palatable such that it is easy to ingest it. Side effects like dizziness, jittery and sick feelings which have been often reported by Kegenix users are minimal with ‘Perfect Keto’. Perfect Keto products have been developed keeping this facet in mind, and the website provides guides and detailed information ton navigate through and evade such symptoms. As low-carb expert and scientific researcher Dr. Volek (Phd) suggests, mineral and electrolyte management is the key to avoiding side effects typically associated with low carb dieting. This supplement helps to maintain the right electrolyte balance, you need while on a keto diet. It contains added minerals like sodium, magnesium, potassium and calcium. The minerals have been added keeping in mind the most common deficiencies that occur while on a keto diet! Perfect Keto’s buying process is simple! Like normal retail, you simply make your purchase. It has been made easily accessible. Not only easy but economical to buy too! Perfect Keto is the most competitively priced keto supplement available. It comes with an affordable price but with goodness and effectiveness that is not lessened in any aspect. Keto Base Chocolate Sea Salt: $59 for 15 servings. Monthly subscriptions are at a 15% discount. Other products are way too highly priced! The product has no fillers or additives. Only required amount of pure ketone BHB and minerals are added. The official website of the product is dedicated to providing detailed and correct knowledge about the supplement and its best use! They never let you wander in the dark, and are confident to boast about the efficacy of their product. Apart from all the facts and science, we do believe that customer’s voice that gives a true picture of any product. We found that, positive reviews about ‘Perfect Keto’ are tremendously outweighed by negative reviews. There are many satisfied and happy users of the product. The negative reviews remain limited to people finding the supplement finishing earlier than the stipulated time. It may depend on usage from person to person. There are minimal reports about side effects or unbearable taste by the users. We, conclude saying that we recommend ‘Perfect Keto’ over ‘Kegenix’, as a more efficient, genuine, affordable and TASTY keto supplement. “I didn’t expect it to help me with my energy levels- but I’ve been pleasantly surprised. I’ve tried a lot of supplements for energy before and this is very different. The only stimulant it contains is a little green tea, so It hasn’t made me shakey or nervous and has made working out so much easier. I highly recommend Kegenix and this diet.When I first started eating ketogenically I didn’t have Keginix available to me for a few weeks. I just followed the diet and went through days and days of keto flu symptoms. I suffered from fatigue and mood swings. Despite the keto flu, I was determined to stay on the diet because I noticed that my frequent tummy aches and acid reflux were completely gone. I also enjoyed eating high amounts of fat and didn’t miss sugar. In fact, when I ate sugar it didn’t taste appealing to me anymore. Eating a biscuit seemed like cardboard and dry crumbs in my mouth. When I finally started drinking Kegenix, my quality of life increased dramatically. All the negative side effects of eating ketogenically had vanished. Now I have energy in the morning. I wake up early, excited to drink Kegenix. It tastes great and isn’t too heavy and leaves me feeling full and satisfied. My mind becomes clear and I feel cheerful. I have been testing my ketones at night and finally I’m staying consistently in ketosis after drinking Kegenix. I honestly can’t imagine going back to my old way of eating carbs. Fat tastes good. End of story. Carbs feel heavy in my belly. Sugar makes me moody, lethargic, lowers my immune system, and shoots my blood sugar up before dropping. I was a bit worried about my lack of probiotics and vitamin C, but I have been taking supplements and it’s been no problem.I don’t really need to lose much weight, but I’d like to lose those last pesky ten pounds to get to my goal weight. Since getting on Kegenix I’ve noticed my weight finally coming off. I haven’t gotten down to this weight since 2005 when I was in the best shape of my life. What an amazing feeling! I ended up having to return mine because I got nauseous when I used it, but I think it could work well for people who aren’t super-sensitive to caffeine like me. According to my keto stix I did reach “moderate” ketosis, but I was on a low-carb diet already. For me, it just wasn’t worth the cost when I can get into ketosis on my own each week. If you’re just starting keto and want help getting past the low-carb flu, give this a shot. “Wow. Why is it so expensive?” is what I thought when I saw Kegenix on Amazon and reading the reviews, I wasn’t really sold. I had read reviews from ketogenic diet websites and I figured I wouldn’t need it as long as I strictly kept my fat-protien-carbohydrate ratio correct. However, on my second day of changing my diet, I started getting a massive migraine and I was nodding off at my desk at work… I wouldn’t believe it was keto-flu, so I took two ibuprofen and chugged on. The next day, the headache was back and i was still tired. I splurged and got Kegenix, checking the website first, of course, to make sure the price on Amazon was correct. It’s been a week since taking Kegenix and I don’t have headaches anymore, I’ve lost about 2 lbs, and I don’t nod off at work. It might also be in my head, but I seem to have more energy. Yes, it’s expensive and it definitely put a ding in my wallet, but I figure it’s a little under 5 dollars a day and I don’t drink energy drinks anymore so it evens out. Plus, the headaches and fatigue is definitely gone. I will take the one month supply and gauge how I feel afterwards. If I need it later, I will continue. The Kegenix website says it’s good for when you fall off the keto-wagon. I’ll probably be needing it with the holidays coming up, it’s hard for me to resist pumpkin pie. I haven’t tried the other flavors and one of the other reviewers said it tasted like baboon sweat, but I actually like the flavor of Wild Berry and I think it tastes better than most Monster energy drinks. The Kegenix website has recipes to try out (the coconut oil fat bombs are really easy and super tasty) and other help. There’s also a daily motivational email that Kegenix sends out. The only complaint I have is the first email from the Kegenix motivational website messed up either the script or they send a old form email and the date was wrong. I will update the review after a month. Tastes like porcupine piss but works great. Absolutely disgusting. It tasted literally like it was rotten. I had previously had the orange one and it was great. Don’t buy this one! Definitely suppresses appetite but NOT worth the price. This stuff tastes like vomit in your mouth and even smells worse only drink a few sips and wanted to die. “Yes, it’s expensive and it definitely put a ding in my wallet, but I figure it’s a little under 5 dollars a day and I don’t drink energy drinks anymore so it evens out. Plus, the headaches and fatigue are definitely gone. I will take the one month supply and gauge how I feel afterward. If I need it later, I will continue. Since beginning the keto diet I’ve noticed higher energy levels during the day and better sleep at night. In an effort to test this product, I knocked myself out of ketosis with my biweekly carb cheat meal. After consuming a packet, I tested my urine every 2 hours throughout the day with no elevation in ketone levels. I repeated this experiment for 2 days.I’m now back to using my diet alone for ketosis. In addition, each packet contains about 7g of carbs with is more than 1/3 of an average daily carb consumption during keto.I’m very disappointed in the amount of money spent on this product. Starting off on my keto pathway I thought I would give Kegenix a try. I have decided however to not repurchase due to the caffeine which is only stated in a ratio 1:10 not mgs on the box….gave me jitters unfortunately so must be more than what I normally have in the amount of my daily caffeine . The carb count is also high which deeply cut into my 20 carbs a day, however I did not experience many keto flu symptoms so am giving it 3 stars. I use this mid morning on the first day of my weekly two-day fast in order to make sure I’m fully in ketosis at the beginning. Probably not needed, but I like to experiment. The problem I have is for some reason it makes be extremely nauseous right after drinking it, and that nausea lasts about 45 mins. It’s a strange feeling. Just a “I want to throw up for no reason” feeling.